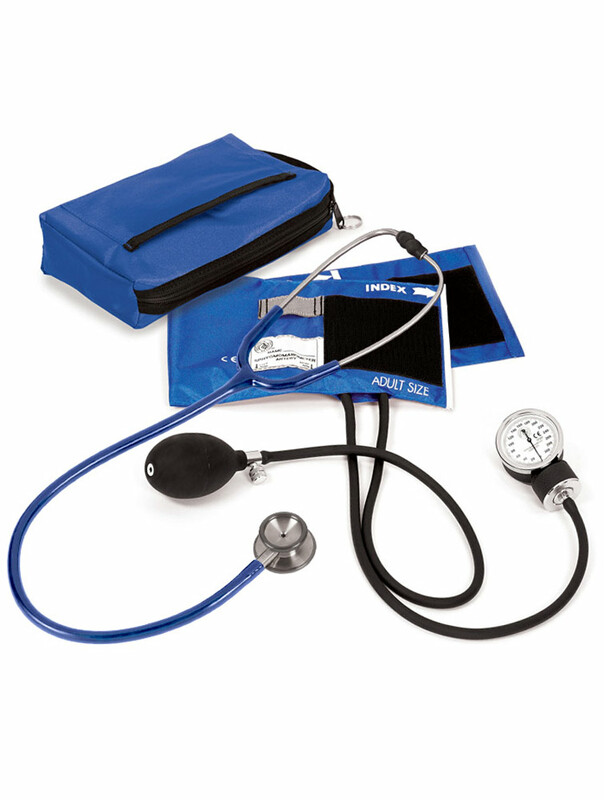 Our best selling aneroid sphygmomanometer matched with the outstanding Clinical I® stethoscope. The Clinical I® is a classic dual head stethoscope enhanced with all stainless steel construction. A portion of the sale of the Hope Pink Ribbons print is donated to the American Cancer Society. Features: Latex free, nylon cuff, Index and Range Markings, artery indicator mark, owner ID label, gauge holder, standard inflation bulb and air release valve, matching 6"x9" nylon carry case, Cuff Range: 10"-16"* Warranty: Lifetime Calibration *Range refers to the arm circumference that the cuff is designed to operate on.